To be clear, the servers coming back on means that all online functionality is currently restored and working. You can share your own custom skate parks and download others', you can team up with up to five friends online to tackle challenges together or just do silly things, and share photos of your sickest grinds. EA, for their part, has made no statement or acknowledgment of any of this, which only serves to further folks' furor over the possibility that Skate 4 will be announced in a couple days during the EA Play conference. We'll just have to tune in and find out. For now, let's all enjoy the excellent intro video to Skate 3. 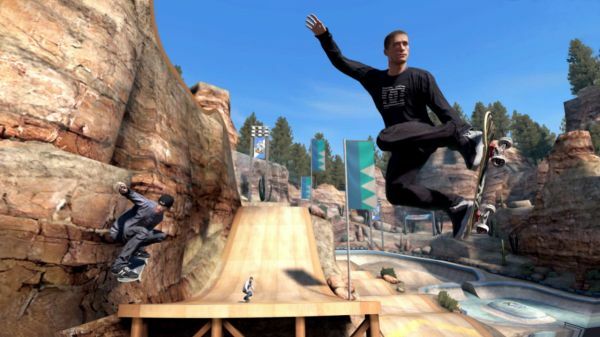 Skate 3 is available on Xbox 360 and PlayStation 3. It is part of the Xbox One Backwards Compatibility program, meaning if you have the game disc you can pop it into your Xbox One and play (or you can buy it on the Microsoft Store for $4.99, which is a dang good price). Six player online co-op is supported, but it's worth noting that the co-op experience is pretty much in the "make your own fun" vein. Page created in 0.6867 seconds.